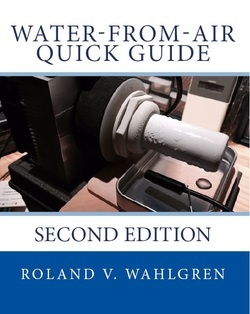 Water-from-Air Quick Guide (142 pages, paperback). 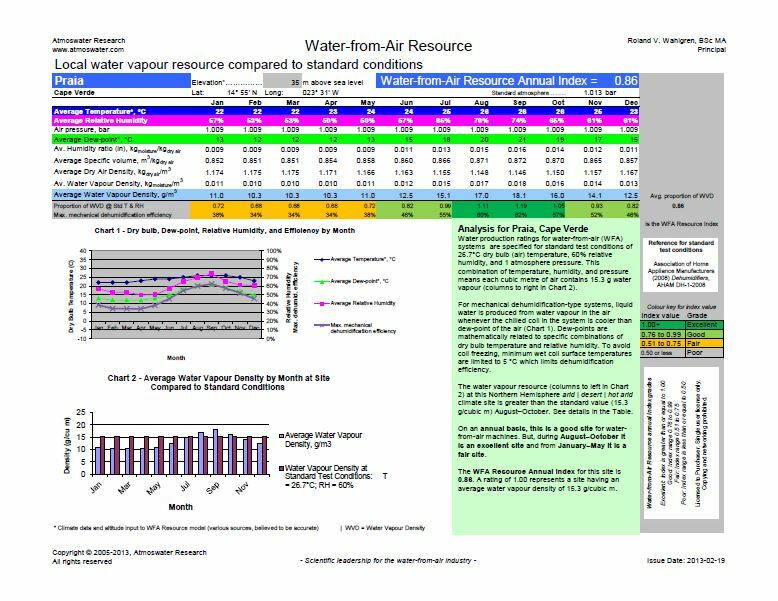 The book includes water-from-air resource charts for 23 cities facing perennial water shortages—the book costs a lot less than the $230 value of the charts purchased separately! 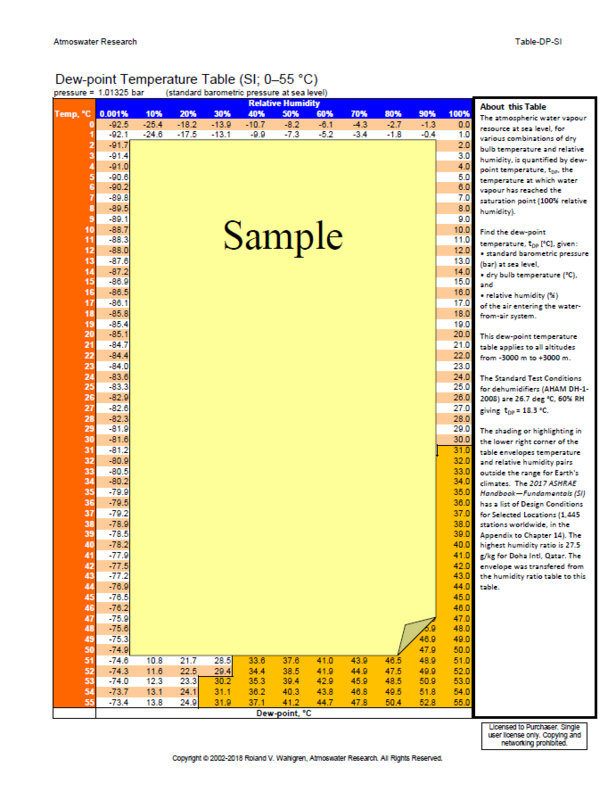 Preview the first 12 pages, including Contents, by selecting the PDF download instruction (a bit further down on this web page). Click on this cover image to go to Amazon (USA) to buy your copy! Amazon's "LOOK INSIDE!" feature usually lets you see the list of 23 cities. Try it! Now available as a Kindle e-book!—at any Amazon site, search the Kindle Store using the term "Roland Wahlgren". 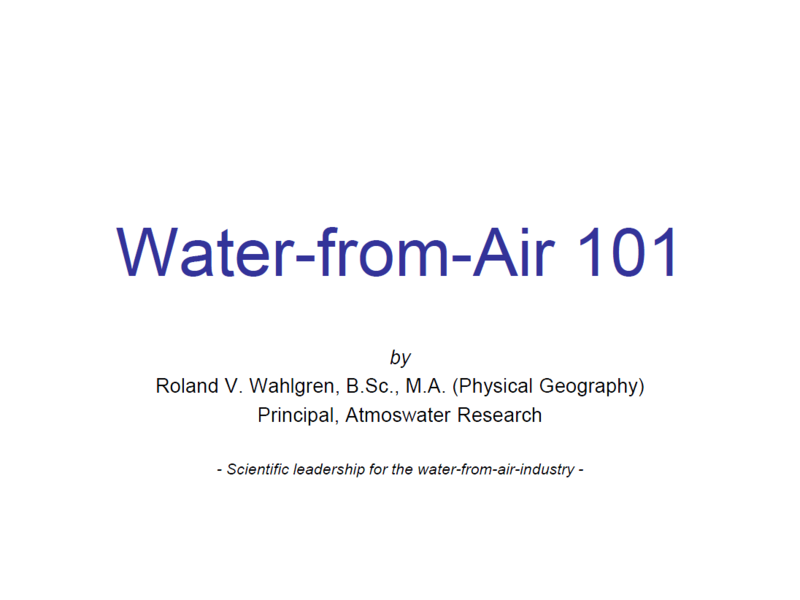 Water-from-Air 101: An introductory presentation in 13 pages. for a limited time! The usual price is USD 10/chart. Water from air is a potable water resource in India. 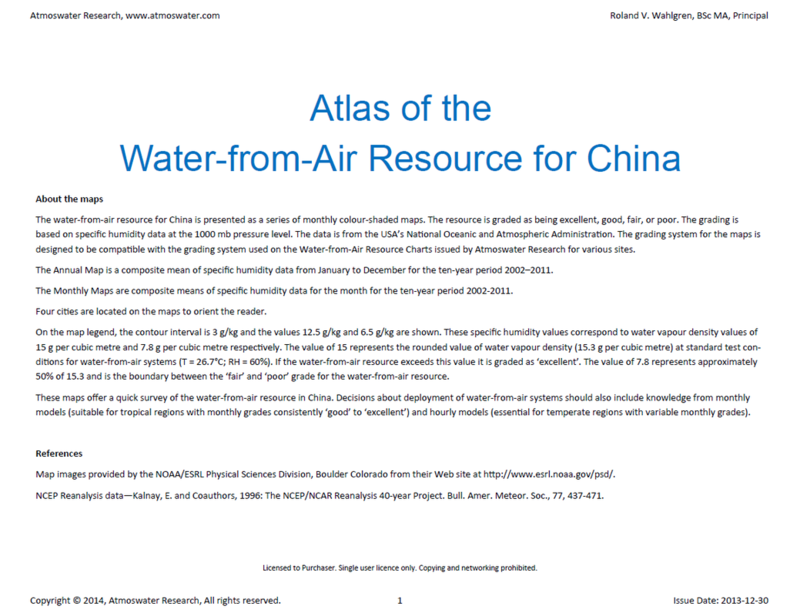 The magnitude of the resource varies seasonally. 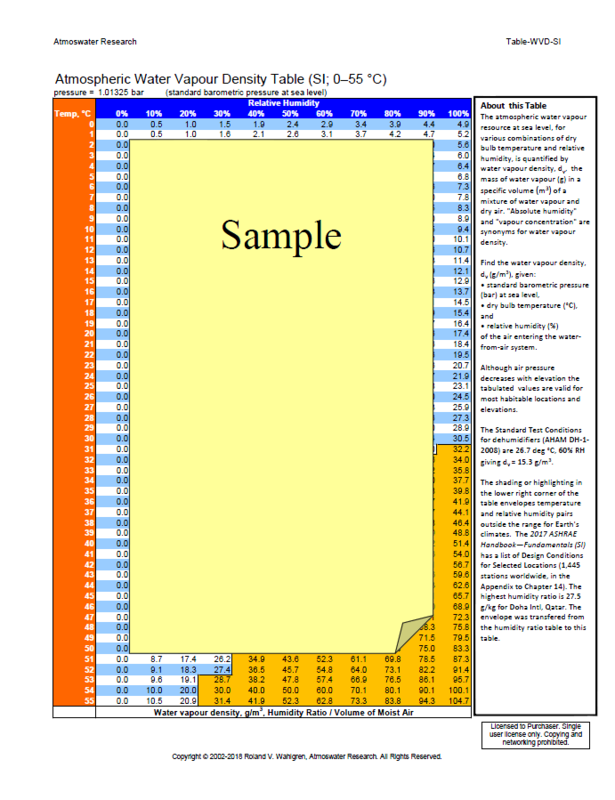 Delhi is an example of a northern site while Trivandrum represents a southern site. 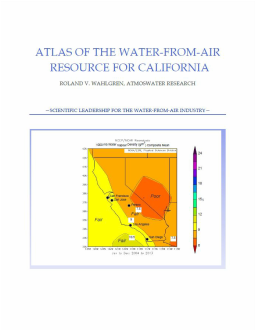 The next article is essential reading for anyone interested in water-from-air! 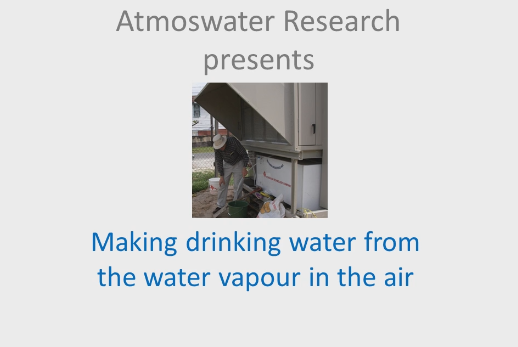 Looking for water-from-air machines (atmospheric water generators)? Please visit my related company, Canadian Dew Technologies Inc.